T. Jefferson Parker was born in Los Angeles and has lived his life in Southern California. His seventeen novels include Silent Joe and California Girl, both winners of the Edgar Award for best mystery. 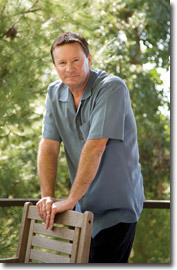 His first novel, Laguna Heat, was an HBO television movie. Parker grew up in Orange County and attended Orange Coast and UC Irvine. After college he worked for the Newport Ensign, Daily Pilot, and Los Angeles Times newspapers. Parker has always written about Southern California. His novels deal with not only with crime and cops but with regular people trying to live their lives. Parker is now writing about how the drug wars in Mexico are impacting the United States. He is mid-way through a four-book Border Quartet that deals dealing with this subject. 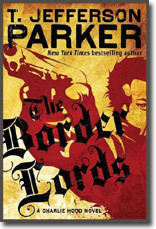 The first, Iron River was published in 2010, and the second, The Border Lords will be released in January of 2011.